For the Queensland electoral division, see Electoral district of Hervey Bay. Hervey Bay (/ˈhɑːrvi/) is a bay and a city in the Fraser Coast Region of Queensland, Australia. The city is situated approximately 290 kilometres (180 mi) or 3½ hours' highway drive north of the state capital, Brisbane. It is a natural bay between the Queensland mainland and nearby Fraser Island. The local economy relies on tourism which is based primarily around whale watching in Platypus Bay to the north, ferry access to Fraser Island, accessible recreational fishing and boating and the natural north facing, calm beaches with wide undeveloped foreshore zones. At June 2015, Hervey Bay had an estimated urban population of 52,288. At 1.2 percent, the 5-year average annual population growth is modest compared to 1.5 percent nationally. It has a median age of 45, significantly higher than the national average of 37. The indigenous Butchulla people are the traditional residents of Hervey Bay. The first recorded European sighting of Hervey Bay was made by James Cook while carrying out his running survey of the east coast of Australia, on 22 May 1770. By noon Cook's ship was in a position a little over half-way across the opening of Hervey Bay heading for Bundaberg. When Cook first discovered Hervey Bay, he did not realize that Fraser Island was separated from mainland Australia; Cook did not travel far enough south due to the shallow depths of the waters in the Bay. Cook named the bay "Hervey's Bay" after Augustus John Hervey (1724–1779), later Third Earl of Bristol, a naval officer who became a Lord of the Admiralty the year Endeavour returned. In 1984, Hervey Bay was officially known as the "City of Hervey Bay". It was known as a city because of its large growth in business, population, tourism and industry. Although it was now being known as a city, it still remained a small seaside village to most of the local residents. The Hervey Bay Library opened in 1997 and had a major refurbishment in 2014. Hervey Bay has a number of heritage-listed sites. Fraser Island is listed on the World Heritage List. The Woody Island Lighthouses are listed on the Queensland Heritage Register. Hervey Bay is situated approximately 3½ hours' drive north of Brisbane, via the Bruce Highway and 30 minutes' drive north-east of Maryborough. The city is also served by the high-speed Tilt Train, which has connections from Maryborough West or nearby Howard. The city is served by the Hervey Bay Airport, with direct flights from Brisbane (QantasLink) and Sydney (Virgin Australia). The City of Hervey Bay (now the Fraser Coast Region) has released an airport master plan which includes future provision of a taxiway parallel to the main runway, additional car parking and a larger terminal. The city is also served by passenger ferry to Fraser Island, as well as both scheduled and unscheduled vehicular ferries. Despite Hervey Bay's growing popularity, no plans have been made for a new railway line to the city. The previous passenger and freight line branched off the North Coast main line at Colton, just north of Maryborough. Trains stopped at many stations along the line, but the main stations were Pialba and Urangan. The railway then extended along the Urangan Pier. The line carried out pineapples and local goods from the city. The line was closed in 1993. The tracks from Nikenbah to Urangan were removed and the Pialba – Urangan line was converted into a mobility corridor. Traces of the railway line are still visible in Urangan. There are two semi-removed crossings (Everything but the tracks was removed) near the end of Pier Street and the track's ballast is still slightly visible from where the mobility corridor ends. Hervey Bay is the largest population centre within the Fraser Coast Region. The current mayor of the Fraser Coast Regional Council is George Seymour elected in a by-election held in May 2018. A total of ten Councillors are elected every four years. The Electoral district of Hervey Bay has Queensland's second highest share of residents aged over 60. Hervey Bay is represented in the Parliament of Queensland by LNP member Ted Sorensen, who defeated Labor's Andrew McNamara in the 2009 Queensland state elections, and in the Commonwealth Parliament by the Nationals member for Hinkler, Keith Pitt. In 2008, Hervey Bay was the fastest growing statistical division in the country. Forecasts predict the population of Hervey Bay will increase to 102,000 in 2026, a near doubling from 2006 figures. Hervey Bay has a mild climate with an average 30 °C (86 °F) in summer and 22 °C (72 °F) in winter. The coast is predominantly affected by the south east trade winds throughout the summer with occasional strong northerly winds and storm swells. These winds keep the temperatures down in summer and up in winter, preventing temperature extremes. As a result, Hervey Bay rarely experiences temperatures over 35 °C (95 °F) in summer or under 5 °C (41 °F) in winter. Tropical cyclones are a threat at times with Cyclone Hamish threatening in 2009 as a Category 5. The land mass of Fraser Island significantly affects the pattern of weather in Hervey Bay and protects the immediate marine environment from open ocean storm effects. Cyclone Oswald in 2013 caused significant damage in the area, mainly as a result of tornadoes spawned by the system. The average rainfall for the year is around 1,100 millimetres (43 in). December to March is the main rainy period, with a secondary peak in May and June. The months of April and from July to November are generally dry and sunny. Hervey Bay's largest shopping center Stockland Hervey Bay, is located in the suburb of Urraween. Hervey Bay also has two Higher Education institutes, a campus of the University of the Sunshine Coast and the Wide Bay Institute of TAFE. and a State Government Special School. The Fraser Coast Regional Council operate the Hervey Bay library at 161 Old Maryborough Road, Pialba. Hervey Bay has an active sporting community with the geography and climate encouraging a diverse range of activities. The natural foreshore area of Hervey Bay has a 14-kilometre (8.7 mi) long bike and pedestrian path that visibly integrates recreational fitness into the environment and community. Competition sports are generally regional and played against nearby cities, Bundaberg, Maryborough and Gympie. The calm waters and gently sloped beaches make recreational and competitive water sports popular and accessible. These include sailing, kite boarding, water skiing, wake boarding, kayaking, out-rigging, snorkelling, scuba diving and ocean swimming. The Hervey Bay Triathlon started in 1988 and has been raced annually since. The local rugby league team, Hervey Bay Seagulls, are the cornerstone of rugby league in the Hervey Bay area. Hervey Bay is the whale watching capital of Australia, with humpback whales migrating along the coast between April and October every year. Researchers at The Oceania Project conducted a 25-year study which found the bay was an important social hub for humpback whales. Whale number have increased from about 2,000 in 1992, to around 33,000 in 2018. Hervey Bay is a stopover for mature female humpback whales. Mature females visit Hervey Bay during August in company with the cohort of immature males and females. During September and October Hervey Bay is dominated by Mature females with new calves. The humpback whales are known to be very relaxed in the company of the whale watching vessels. Wikimedia Commons has media related to Hervey Bay, Queensland. ^ a b c "3218.0 – Regional Population Growth, Australia, 2014-15: Population Estimates by Significant Urban Area, 2005 to 2015". Australian Bureau of Statistics. Australian Bureau of Statistics. 30 March 2016. Archived from the original on 8 September 2016. Retrieved 12 September 2016. Estimated resident population, 30 June 2015. ^ "2011 Census Community Profiles: Hervey Bay". ABS Census. Australian Bureau of Statistics. Archived from the original on 5 March 2018. Retrieved 15 September 2016. ^ "Hervey Bay - population centre in Fraser Coast Region (entry 46749)". Queensland Place Names. Queensland Government. Retrieved 28 February 2018. ^ "Hervey Bay - bay in Fraser Coast Region (entry 15808)". Queensland Place Names. Queensland Government. Retrieved 28 February 2018. ^ Australian Bureau of Statistics (31 October 2012). "Hervey Bay (Urban Centre/Locality)". 2011 Census QuickStats. Retrieved 28 April 2015. ^ History of Hervey Bay Archived 29 October 2013 at the Wayback Machine. Retrieved 31 July 2014. ^ "Fraser Island". UNESCO. Archived from the original on 23 October 2015. Retrieved 4 November 2015. ^ "Woody Island Lighthouses & Ancillary Building Site (entry 602169)". Queensland Heritage Register. Queensland Heritage Council. Retrieved 7 July 2013. ^ Links Mobility Corridor – Trail Description Archived 24 October 2009 at the Wayback Machine. Railtrails Australia. ^ "2018 Fraser Coast RC Mayoral By-Election - Fraser Coast Regional Council - Undivided Council Summary". Electoral Commission of Queensland. 14 May 2018. Retrieved 14 May 2018. ^ Green, Antony. "Hervey Bay". Australian Broadcasting Corporation. Archived from the original on 1 May 2012. Retrieved 21 May 2012. ^ Clementine Norton (8 January 2010). "Water to be sent to Hervey Bay". News Mail. The Bundaberg Newspaper Company. Archived from the original on 6 July 2011. Retrieved 14 March 2011. ^ Siobhain Ryan (3 December 2008). "Nation's population growth rate hard to beat". The Australian. News Limited. Retrieved 14 March 2011. ^ "Hervey Bay Airport". Climate statistics for Australian locations. Bureau of Meteorology. December 2013. Retrieved 8 December 2013. ^ Hervey Bay schools - a directory of the schools in Hervey Bay Archived 12 October 2013 at the Wayback Machine. Retrieved 31 July 2014. ^ "Kawungan SS". Archived from the original on 2 February 2017. Retrieved 28 January 2017. ^ "Urangan Point SS". Archived from the original on 2 February 2017. Retrieved 28 January 2017. ^ "Yarrilee SS". Archived from the original on 2 February 2017. Retrieved 28 January 2017. ^ "Pialba SS". Archived from the original on 2 February 2017. Retrieved 28 January 2017. ^ "Sandy Strait SS". Archived from the original on 2 February 2017. Retrieved 28 January 2017. ^ "Torquay SS". Archived from the original on 2 February 2017. Retrieved 28 January 2017. ^ "Hervey Bay SHS". Archived from the original on 2 February 2017. Retrieved 28 January 2017. ^ "Urangan SHS". Archived from the original on 2 February 2017. Retrieved 28 January 2017. ^ "Carinity Education - Glendyne". Archived from the original on 2 February 2017. Retrieved 28 January 2017. ^ "Star of the Sea". Archived from the original on 2 February 2017. Retrieved 28 January 2017. 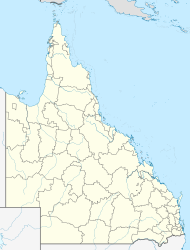 ^ "Fraser Coast Anglican College". Archived from the original on 2 February 2017. Retrieved 28 January 2017. ^ "Xavier Catholic College". Archived from the original on 4 February 2017. Retrieved 28 January 2017. ^ "St James Lutheran College". Archived from the original on 2 February 2017. Retrieved 28 January 2017. ^ "Bayside Christian College". Archived from the original on 5 March 2018. Retrieved 28 January 2017. ^ "Fraser Coast Campus". Archived from the original on 14 June 2011. Retrieved 5 March 2018. ^ Queensland, TAFE. "TAFE Queensland". www.widebay.tafe.qld.gov.au. Archived from the original on 17 June 2017. Retrieved 5 March 2018. ^ "Location and hours". Fraser Coast Regional Council. Archived from the original on 31 January 2018. Retrieved 31 January 2018. ^ a b "Bay's a social hub for whales". Fraser Coast Chronicle. The Maryborough Hervey Bay Newspaper Company. 7 August 2010. Retrieved 31 January 2012. ^ "Leshan, China". Fraser Coast Regional Council. Archived from the original on 3 March 2013. Retrieved 21 May 2012.